Super soft Baby Llama Chunky is an alternative to Baby Alpaca and makes for luxurious accessories and garments alike. This bulky weight yarn comes in an array of saturated hues that highlight its llamawesomeness! Please note that colors marked with an asterisk are considered part of Cascade's Eco line, as they are undyed, and are marked as such on the labels. Cascade Baby Alpaca Chunky Yarn and Berroco Ultra Alpaca Chunky Yarn are both similar yarns: hand wash, bulky (12-15 sts/4 in), 3.5 sts / inch, 100 gram, and on size 10 US needles. 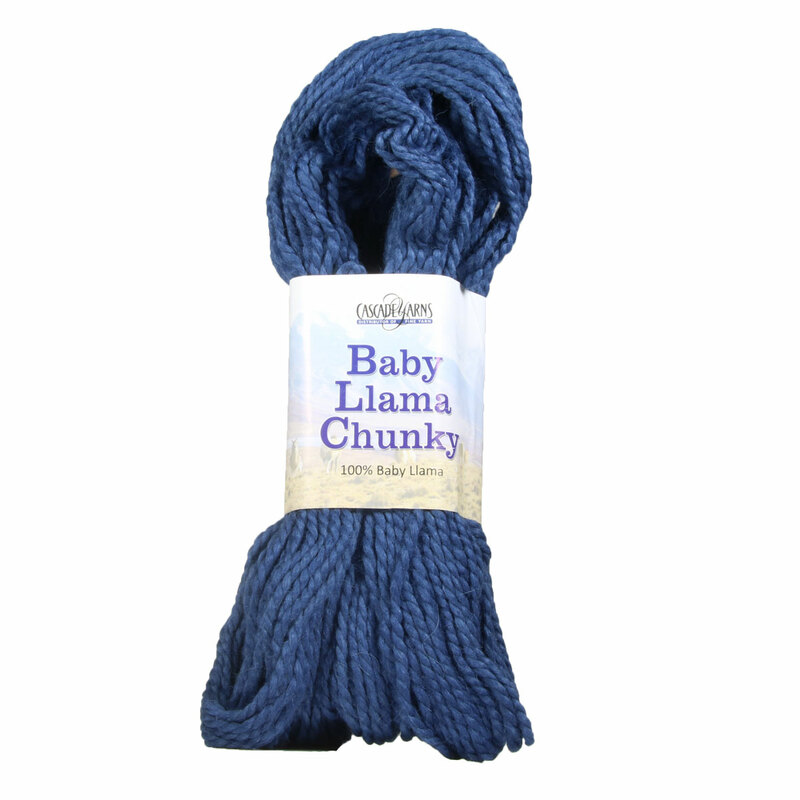 Hopefully our suggested project ideas for Cascade Baby Llama Chunky Yarn can help you come up with your next exciting new project idea!